Today, I'm delighted to turn my blog over to friend and fellow author, Sharon Buchbinder. She has dropped in to tell us about what inspired her to write about a hotel inspector in The Haunting of Hotel LaBelle. Before I go, here is Sharon's wonderful cover, short blurb and book trailer for The Haunting of Hotel LaBelle. My blog is all yours. Enjoy! When hotel inspector, Tallulah Thompson, is called in along with her pug, Franny, to investigate renovation delays, she meets an extremely annoyed and dapper turn-of-the-century innkeeper. The only problem is he’s in limbo, neither dead nor alive, and Tallulah and the pug are the first to see him in a hundred years. 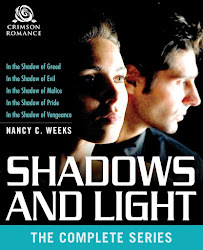 Cursed by a medicine woman, “Love ‘em and Leave ‘em Lucius” Stewart is stuck between worlds until he finds his true love and gives her his heart. When he first sees Tallulah, he doesn’t know what he’s feeling. Yet, her stunning beauty, and feisty attitude pull him in. With the fate of Hotel LaBelle on the line, Tallulah with the help of a powerful medicine woman turns Lucius back into a flesh and blood man. 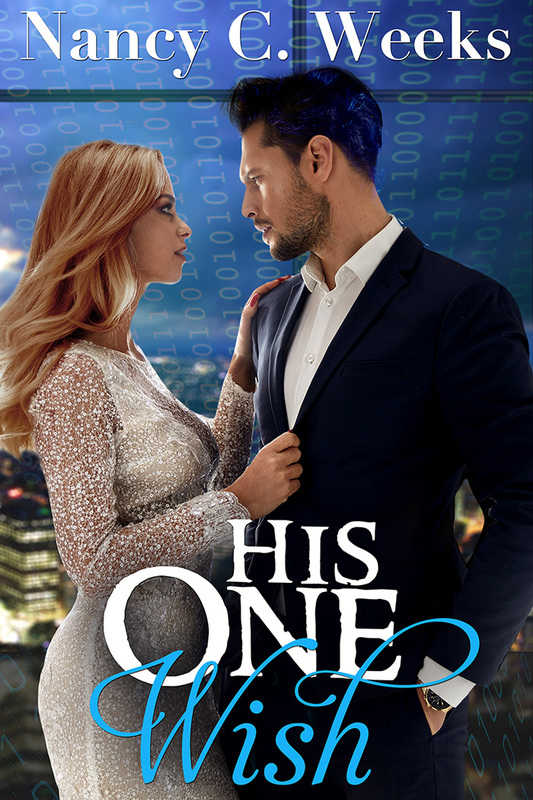 She and Lucius team up to save the hotel, but Tallulah can't help but wonder if he will ever let go of his past love and learn to love again. After sharing numerous travel horror stories with a writing friend, she said, “You should write a book about this!” Ta-dah!! I drew from these experiences to create Tallulah Thompson, Hotel Inspector and her partner and pug, Franny. My husband and I travel a lot for business and pleasure. Over the forty years of our marriage, we have stayed at everything from a stunning boutique hotels to fabulous bed and breakfasts to corporate chains. We even stayed at a Motel 6 in a blizzard in Davenport, Iowa in the late 1970s. 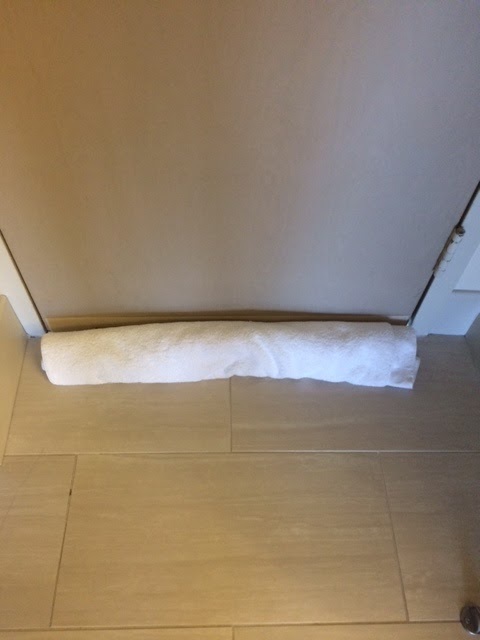 It was so cold, my husband had to keep going out and starting the car every two hours so it wouldn’t freeze and we had to put towels at the door to keep snow from blowing in (you may see a theme here). I will share Good, Bad and Ugly hotel experiences we have had and ask your readers if they have good, bad or ugly hotel experiences they’d like to share. 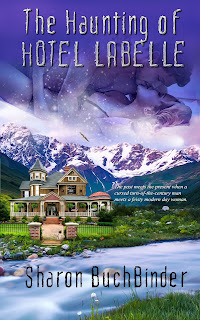 I will give away three (3) Kindle e-copies of the Haunting of Hotel Labelle to three random commenters. Here are the reasons why this stay with a family run bed and breakfast, the Foster Harris House is always a slice of heaven. The rooms Elegant and cozy, each spotless room has its own unique personality. 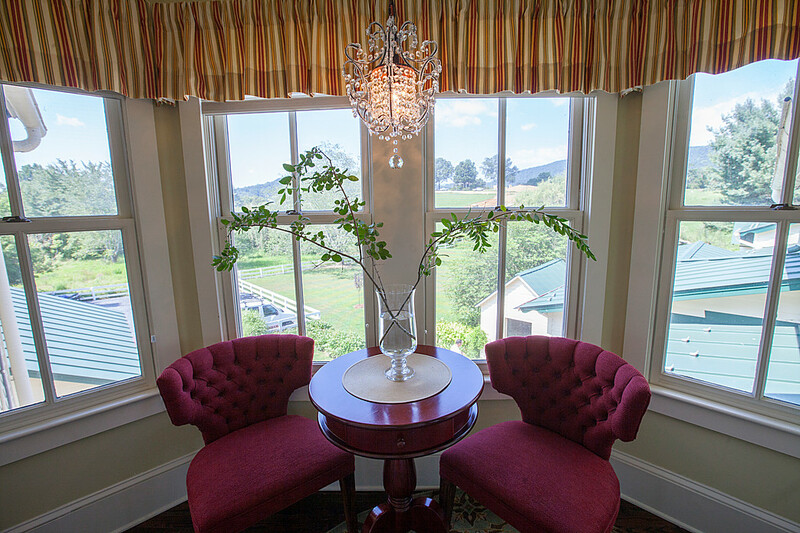 We prefer the Mountain View Room which has a sitting area and a shower with about six showerheads, maybe more. I lost count. When you arrive, a covered dish with homemade cookies await you. The rooms Elegant and cozy, each spotless room has its own unique personality. 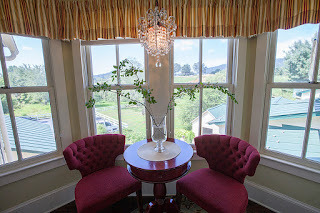 We prefer the Mountain View Room which has a sitting area and a shower with about six shower heads, maybe more. I lost count. When you arrive, a covered dish with homemade cookies await you. 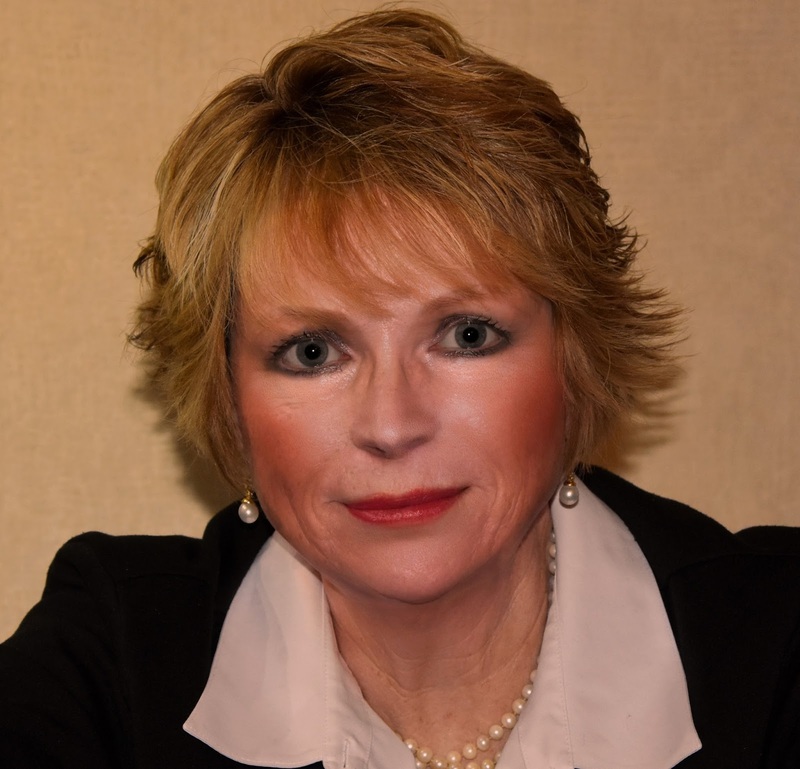 The owners: Ten years ago, John and Diane MacPherson gave up jobs in corporate America to pursue a dream. A self-taught chef and avid bicyclist, John’s talents in the kitchen are up there with the finest. As you can see from the photos, breakfast alone is worth the trip, with creative and exciting combinations of taste and visual delight. Dinners are a lovely, leisurely affair. This is not fast food. This is divine food. The area: Washington, Virginia was George Washington’s (yes, that one) first planned city. Now, not to be too critical, but the town is pretty small and boasts about two stop signs. Don’t let it’s petite stature fool you. It is filled with artists, great cuisine, and is nestled at the base of the Shenandoah Mountain range, right outside the National Park. It is also a short distance to Luray Caverns if you want to see how our earth began. Breathtaking on both counts! Here are the reasons why this stay with a large corporate chain was a bad experience (no name because after I launched a letter writing campaign to the corporate customer service department, we did receive a refund). The room: One of the basic things a human needs in a home, car, or hotel room is heat. When we arrived in Chicago on a windy day in the perpetually windy city, it was overcast and chilly. 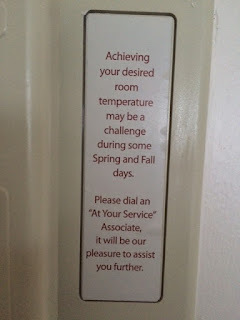 We were put into a room on the 41st floor that had a sloooooooow flushing toilet and no heat. The next day, we complained and were moved to a newly renovated room on the 45th floor. Soon we discovered the new room (furnished by IKEA, without even dresser for your clothes) also had no heat. 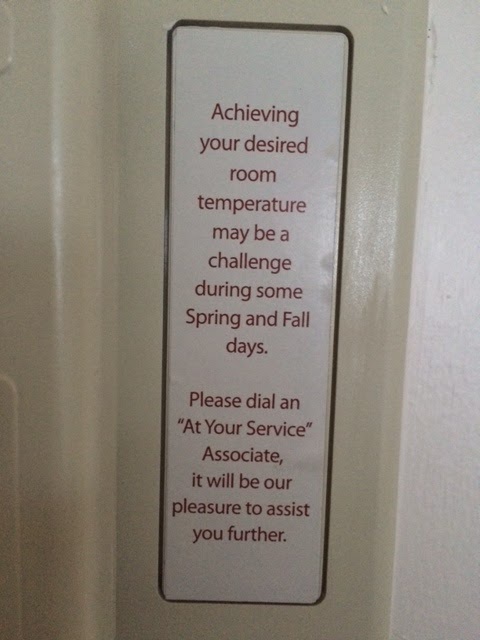 We called and were told by "at your service" (not) that there would be no heat forthcoming, and that “you are the only ones complaining.” They would turn the heat on only after receiving sufficient complaints from the entire hotel. What that magic tipping point was for a majority vote, I do not know, however, the entire hotel system it seems had two settings: hot and cold. And all we got was cold and colder. The thermostat in the room was a fake for show, as it did not work. Housekeeping: The Housekeeping staff were on the floor, bright and early at 8 am, shouting down the hall to each other, music BLARING (not in earphones), and slamming carts into walls and doors. About a quarter of the rooms had PRIVACY signs on them. My guess is those people wanted to SLEEP. With the cacophony in the hallway, I doubt they could. I know I tried, but the noise woke me up. The area: Downtown Chicago, IL, a great WINDY city. We lived there for over a decade. I recommend visiting only during summer and early fall, as the weather is either HOT or COLD, just like the hotel thermostat. A business trip to St Louis took us to yet another corporate hotel which boasts a low price, free WIFI and complimentary breakfast (powdered eggs, but we won’t go there). When we arrived, my husband dropped me off with the luggage and took off. He did this so I could take a desperately needed nap—and I checked in to Hotel Hell. The room: Had heat and a comfy bed, which was all I really wanted at that point in time. I put on my leopard pajamas, put ear plugs in my ears, eye mask on my face, played my white noise app and dozed off—only to be awoken by the claxon of a FIRE ALARM, lights flashing and instructions to exit the building via the stairs. I leaped out of bed, into my boots, threw my down coat over my leopard pajamas and raced down the stairs of the closest exit, which was somewhere in EAST NOWHERE behind the hotel. I wandered about a half-mile to get to the front entrance, searching for signs of fire engines, smoke, or any other hotel guests outside. There were NONE. The staff: Remember being in high school when the girls in the clique made fun of you and laughed at you? No? I do. I found out who employs these teenagers: Hotel Hell. Exhausted and upset, I went to the front desk AGAIN and asked what happened to the fire. Fire? What fire? They LAUGHED at me. Again. The Fire Marshall was there and because of the renovations, they had to TEST the fire alarms. When I asked why they hadn’t called guests to alert them it was only a test, they said, “Well, there weren’t that many guests in the rooms, so it really wasn’t a big deal.” To THEM. Not only did I complain, the company we came out to do business with complained and I also posted a one star review on Trip Advisor. Many apologies later, a refund was offered, but no one could refund me my sleep or anxiety or frustration. The area: St. Louis is not one of my favorite parts of the country for this and other reasons. So, please, don’t ask me to give you tips on travel there! So, dear readers, if you’ve made it this far (!) 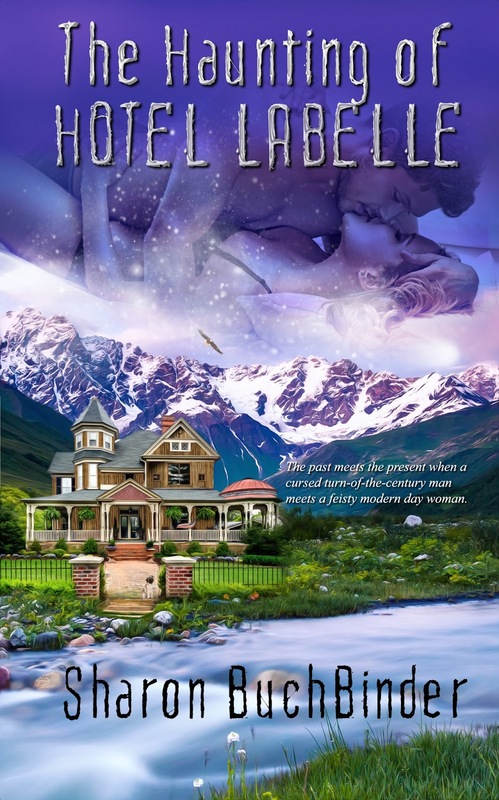 tell us about your hotel experiences, Good, Bad, and Ugly to be eligible to win one Kindle e-copy of my new release, The Haunting of Hotel LaBelle.